And after it launches which is rather fast, by the way, you get a first look at the interface. Lots to learn. Lots to figure out. Need more time. Check my earlier posts for more info and some other's reactions. I've bought it already and its getting downloaded as I write. Along with Motion and Compressor. 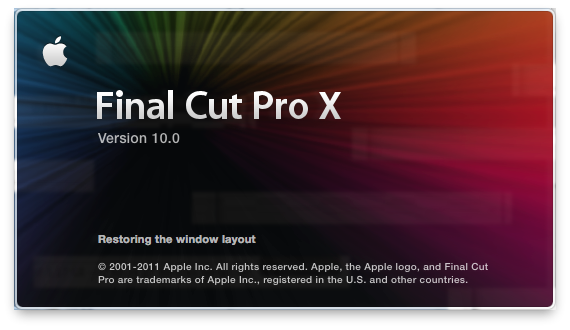 Final Cut Pro X released! One of the most discussed, slammed, hotly debated, praised but still, most eagerly awaited version of Apple Final Cut Pro, or FCP, was released just a few hours ago. About 6 pm out time. Larry Jordan's newsletter said 5.30 am. I take that to be PST. Motion is $ 49, and Compressor is $ 49. There is no mention of Color, DVD Studio Pro, or Soundtrack Pro. But from reading the specs it appears that some features of all these are rolled into FCP. 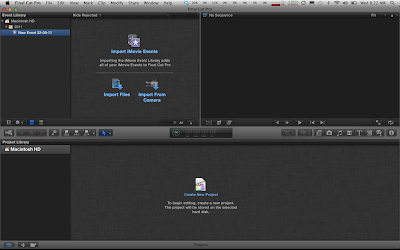 I can't say for certain which features are in and which are out till I use FCP X. There is also no mention of Cinema Tools, or of 24fps editing (24@25) in PAL. So, maybe this feature along with Keycode support for film editing has been dropped. There is no capture from tape except DV, DVCam, DVCPro over Firewire, and that to only capture now. So if tape is still in your life you need to use Aja's VTR XChange tool or Blackmagic Media Express, both of which are rather capable compared to Apple's Log and Capture tool. There is no export to EDL, no OMF, no XML. But Apple is likely to get the XML export sorted out. So, should you or should you not get FCP X? 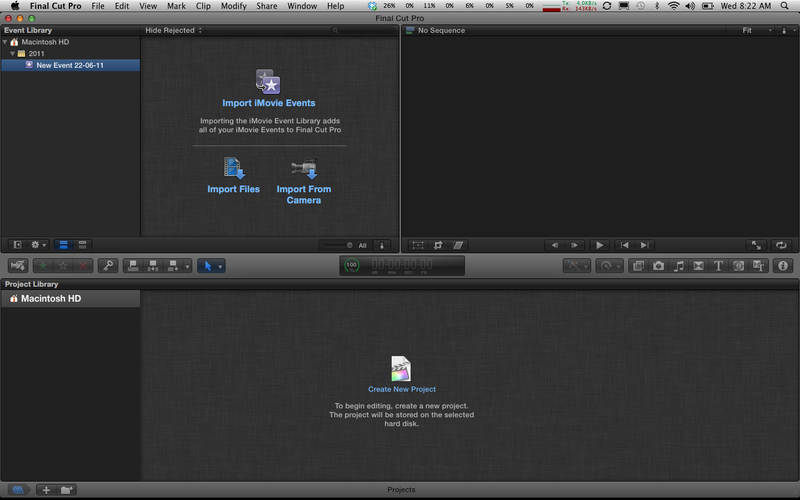 If you're in the middle of a project on FCP 6 or 7, no. If you don't want to learn a whole new interface, then also no. If your work needs capture form tape or output to tape, then too, no. If you are editing a feature film shot on 16mm or 35mm, and need EDLs, can cut lists, then forget about FCP X. Not now, probably not ever. You're stuck to FCP 7 for an indefinite period, or till you don't need cut lists or EDLs, whichever comes sooner. But, if you work with stuff shot on Canon 5D/7D, XDCamEx, AVCHD, AVC Intra, P2 and some other formats, then FCP X offers a vastly simpler workflow than FCP 6 or 7. Direct working with these formats. Background proxy generation, no rendering needed etc etc. I'm about to take the leap and get FCP X as soon as I can download the GBs needed. I will report as soon as I have more info. Until then, keep checking this space. Replace (at) and (dot) with you know what. And please, no spaces.